Choosing to go to graduate school is an important decision that will affect your life for 2-3 years and should be taken seriously. While there are serious reasons to consider if graduate school is right for you, there are a slew of myths that hold people back from applying. If you’re looking for reasons to apply, check out our list of 10 reasons why you should go to graduate school. In this article, we’re going to look at common reasons why someone chooses not to attend grad school, and debunk those excuses with truth. 1. I don’t need a master’s degree to get a job. 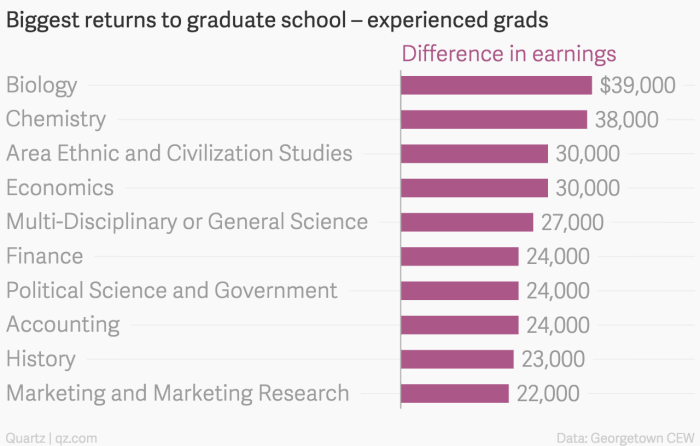 A master’s degree is quickly becoming a requirement for traditionally entry-level positions. Even though the economy has improved since the recession, the classes of 2016 and 2017 are entering a job market that’s still hindered by weak trends, such as higher levels of unemployment and stagnant wages, according to a study from the Economic Policy Institute. College grads with a bachelor’s degree, for instance, are suffering from an underemployment rate of 12.6 percent, compared with 9.6 percent in 2007, before the recession started. Underemployment means people who want a full-time job but are working in a part-time role, or who are working in a job that requires fewer skills than they have. Young college grads are earning $18.53 an hour, or about the same as in 2000. Meanwhile, costs for everything from rent to food have continued to rise. Bottom line: These figures don’t lie: The recession accelerated a long-term trend in the job market, in which education and skills are the best guarantees for work and good pay. 2. I won’t make more money with a master’s degree. Graduates with a master’s degree can expect to earn $20-39k more than someone with a bachelor’s degree. Check out the data below. 3. I don’t have time to go to grad school. With the University of Florida online master’s programs, you can earn your master’s degree will working full-time, supporting a family, and maintaining a work-life balance. Courses are online, and you can watch lectures and do your homework on your own time throughout the week. No stressing about getting to class on time! 99% of our students work full-time and thrive in a supportive community together. We aren’t going to lie: school is expensive. But it always has been, regardless of the economy. Thankfully, there are opportunities to cover graduate school so you can earn your degree with minimal personal expense or debt. Tip: Check with your employer. Many offer educational benefits. 5. I’m too old to go back to school. 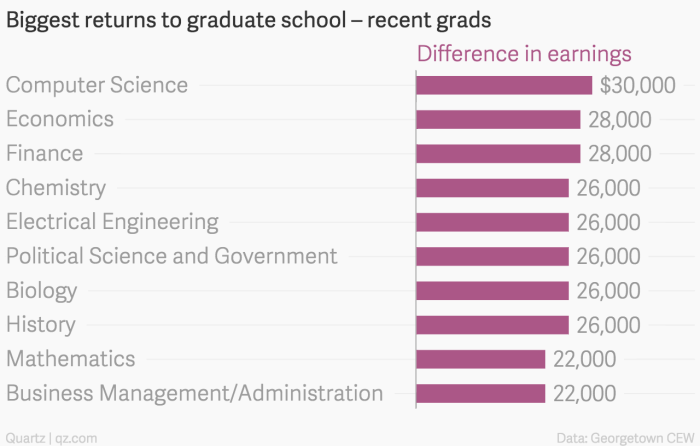 The average graduate student is in his or her mid to late 30s. 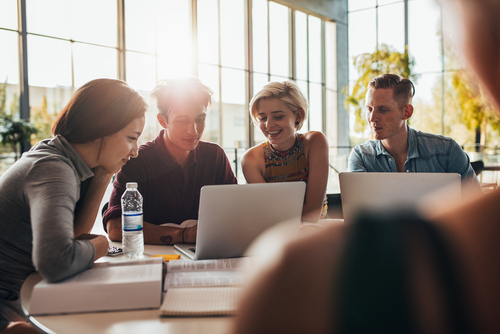 Often, institutions seek older students with work and life experience because of the value they add to the topics being studied and discussion in the classroom. 6. My undergraduate grades were too bad. Admissions committees don’t just look at grades. They look at everything in your application including letters of recommendation, statement of goals, the courses you took, internships, and work and life experience. We look for reasons to get you in, not to keep you out. Tip: A high GRE score can boost a bad GPA. 7. There are too many programs to choose from. It’s true. There are a lot of specializations and degrees to choose from. But, we’ve created this fun quiz to help you determine which specialization is right for you. Interested in PR and marketing? Not sure which is right for you? Take the quiz!